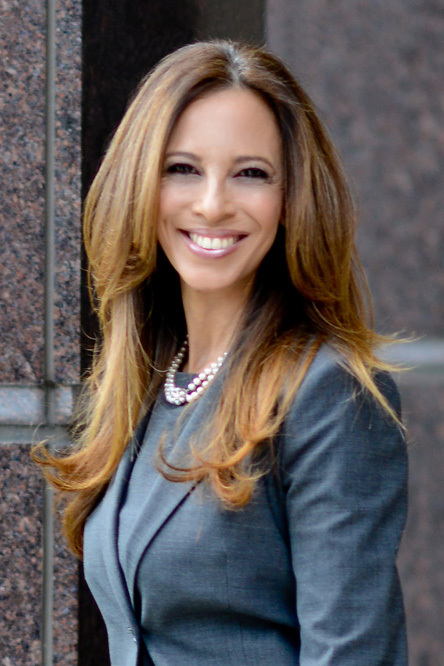 On June 15, The Florida Bar will install its newest president, Michelle Suskauer, marking the sixth time in Bar history that a woman will take the helm of the organization that regulates the more than 106,000 attorneys licensed to practice in Florida. As a Palm Beach-based criminal defense attorney – and the first former public defender to lead the Bar – she is uniquely positioned to advocate for the profession, the courts and Florida citizens. She recently sat down with South Florida Legal Guide to discuss the issues confronting the legal profession and how The Florida Bar is working to address them. Q. What do you hope to accomplish as The Florida Bar’s next president? This is a critical time for the legal profession, our judicial system and the communities we serve. Our courts are seriously underfunded; access to justice is still out of reach for 4 out of 5 citizens; and many of our members struggle to grow their business in the face of today’s competitive landscape. As Florida Bar President, I want to continue to increase communications with members and among members to build relationships so we can work together to strengthen our bar, empower our members to be excellent and efficient advocates, and encourage each other to be healthy and happy. We are a family, connected by our profession, and we need each other to be better lawyers. I also want to look for practical solutions to ensure the independence of our courts; expand access to justice through technology and pro bono involvement; encourage a more inclusive and diverse profession; deliver benefits and services that can help our members grow; and increase the public’s trust and confidence in our legal system. These are lofty goals and we have a lot of work ahead, but if I can help make people’s lives even a little bit better and leave the Bar in a better place than I found it, then I will have made an impact. Q. You mentioned prioritizing helping members in the face of today’s competitive landscape. In what ways can the Bar provide greater support? A major focus this year will be on how to help our members be more productive and profitable, particularly our solo and small firm practitioners. In fact, 76 percent of Florida Bar members practicing within the state work alone or at firms with 10 attorneys or less. As a longtime small-firm practitioner, and as someone who previously operated my own firm for 18 years, I know the stress of managing a practice while keeping the lights on. I want to help our members find greater balance, while also giving them tools to help alleviate some of the daily pressures they face. Our practice resource center is being improved as LegalFuel, a resource to help all members manage the business side of law. The site, which will have specific resources for small and solo practitioners, will be complete with practice management advisors who can answer questions, free of charge, on everything ranging from how to manage employee benefits and negotiate a lease to marketing a practice and building a social media presence. It will also host a variety of free CLEs on similar topics so that members can focus more on what they love to do, which is the actual practice of law. A highlight of the year ahead is a planned LegalFuel Speaker Series featuring well-known and respected Florida lawyers talking about meaningful, useful topics including Cybersecurity for Solo, Small, and Big Firms, 10 Ways to Avoid a Grievance, and How to Take Your Practice to the Next Level. Q. You have made criminal justice reform a priority during your term. Why is that and what can the Bar do to help in this regard? Our state has one of the highest incarceration rates in the country yet lacks proper funding and staffing resources. The result is a system based on punishment as opposed to rehabilitation, which does nothing to reduce crime or recidivism. As the first former public defender to lead the Bar, and as a criminal defense attorney, I have worked within the criminal justice system my entire career. I have witnessed its challenges first-hand and am intimately aware of the complexities involved. The Bar will hold a Criminal Justice Summit October 16-17 in Tampa, with the goal of proposing legislation that can help bring reform. During the 2018 legislative session, time ran out before criminal justice reforms could be passed. Hopefully the summit will help move legislation forward swiftly during the next session of the Florida Legislature. Q You are the 70th Bar President, but only the sixth female to assume this role, putting you in a unique position to speak about gender equality. What meaningful steps is the Bar taking on this issue? Like most traditionally male-dominated industries, our profession still has a long way to go to solve gender inequity. Recent data from the American Bar Association suggests that women are leaving the profession at faster rates, with women over 50 now making up only 27% of lawyers at firms. Women need to see other women rising the ranks successfully, to know they can too, without sacrificing personal or family obligations. Yet this disheartening data suggests that women just starting out are losing their female role models and advocates. At the same time, we know that gender bias and discrimination hasn’t gone away. This year the Bar will implement recommendations made by its Special Committee on Gender Equality & Diversity, including a confidential grievance process to report instances inappropriate behavior, and a ‘blue ribbon’ designation to recognize firms that prioritize hiring, promoting and retaining female lawyers. Q. You have spoken about helping members find balance. With so many demands and pressures, how will you find balance this year? As a working mother, it has always been a challenge to try to “do it all.” But, I know the importance of reaching out for help from my family, friends and community. While it is paramount to me to do the best I can in every situation or effort, I also know I need to rely on the Board of Governors, other Bar leaders including section and committee chairs, and the Florida Bar staff to help me meet the demands of the Bar presidency. At the same time, I am fortunate to have the support of my law partners at Dimond Kaplan & Rothstein who are great sources of encouragement and whose sacrifices will allow me to dedicate so much of my time and energy to leading our bar.